I will be starting the Reinventing Transport podcast soon. I am making my preparations, scheduling the early interviews and summoning my courage. UPDATE: the TRAILER Episode is now live. 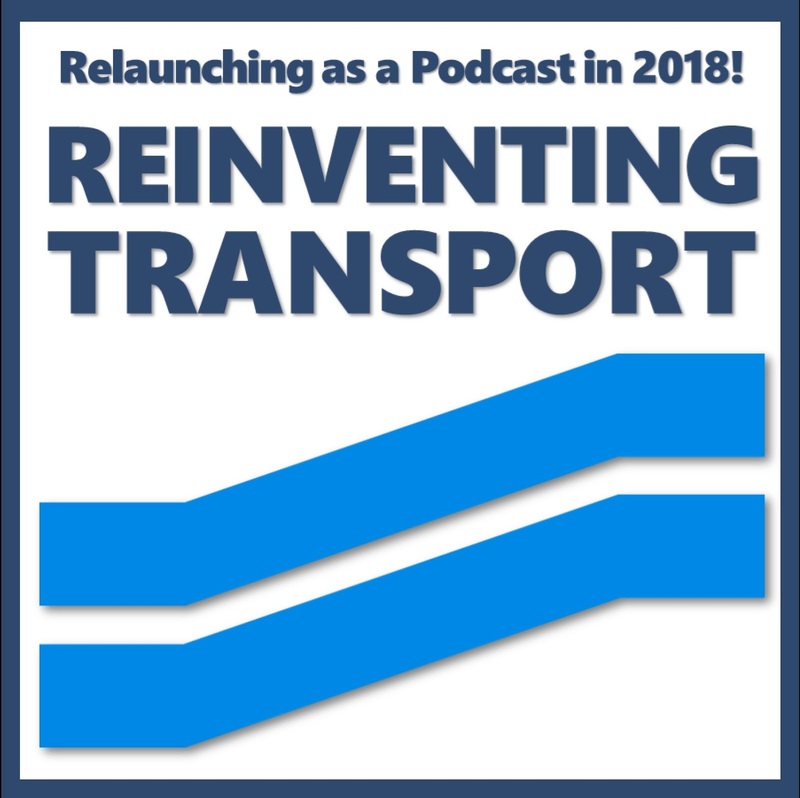 If a Reinventing Transport podcast sounds good to you, please subscribe to Reinventing Transport email updates so you will get an alert when the first shows appear. So what will the Reinventing Transport show be like? Initially, it will be a weekly once-in-two-weeks show of 20-25 minutes (or so) per episode. The Reinventing Transport show is for anyone pushing for changes to urban transport and public space, especially if you want cities to be more socially just, sustainable, safe, productive, adaptable, full of great places and much better at helping us all to flourish. I plan to cover a wide range of urban transport-related topics. You will hear about new and exciting revolutions of course. But I want to help you get to grips with various 'boring but important' basics too. I (and my guests) will try hard to make them interesting and relevant to your needs. I want this podcast to be practical and to help you deal with real challenges you face when pushing for urban transport change. I hope it can become an extremely useful source of information, practical advice and, most importantly perhaps, encouragement. The podcast will be international. I plan to interview people from all over the world. We all have something to learn from each other. The podcast should have something for you no matter which continent you live in and no matter how rich or poor your city. If you like the Talking Headways podcast or the Mobility Podcast you will probably also like the Reinventing Transport show, although those shows are mostly focused on the USA. Reinventing Transport will be much more international (although still with some US-focused material). Detailed show notes will be posted here on the Reinventing Transport site. So this site should be useful to you even if you are not a podcast listener. By the way, you may know me as 'that parking guy'. There will be SOME parking episodes and parking will often get a mention in Reinventing Transport. But I will not bombard you with too much parking stuff. For those of you who ARE especially interested in parking, please visit and subscribe to the Reinventing Parking site too. I will be making good use of any parking insights that emerge on the Reinventing Transport show to enrich the material over at Reinventing Parking. The list above also gives you an idea of the issues I will tackle and the wide range of places I aim to cover. 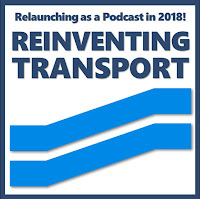 Please use the share button below to SPREAD THE WORD about the forthcoming Reinventing Transport podcast. SUBSCRIBE NOW to be now to be alerted when the time arrives.